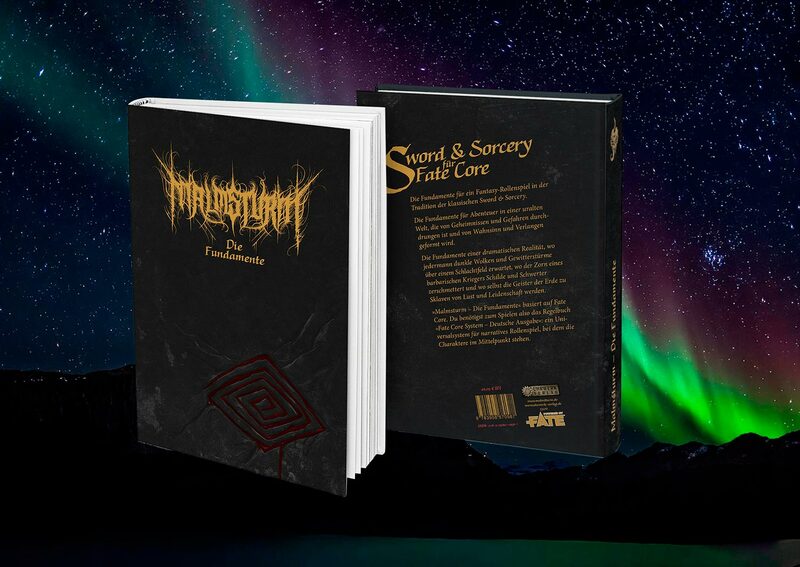 »Malmsturm – The Foundations« (Malmsturm 2. edition) is the successor to »Malmsturm – Die Regeln« (Malmsturm 1. edition, only available in german) and contains everything you need to play a campaign in the Sword & Sorcery setting »Malmsturm«, besides (the freely available) Fate Core system, which provides the core rules of play. In our online shop we offer all kinds of interesting stuff concerning Malmsturm. The books itself will, as soon as they’re released, be available in your FLGS, book stores (the cool ones, which are aware of the tabletop RPG market, otherwise there is always the option of online mailorder) and probably our yet-to-be-announced distributor’s online shop. Malmsturm reaches far back to the dawn of modern fantasy: To the days of barbarian adventurers that prowl the lithic jungles of human civilization, like noble beasts of prey. To a time of ingenuity and indomitable will, stopping not even at the edges of the world or the gates of madness. This is a fantastic world of classic Sword & Sorcery as it was envisioned by Robert E. Howard, Clark Ashton Smith, Fritz Leiber and C. L. Moore – the world of Malmsturm. The Empire: Once a global superpower, whose science enabled it to reach far beyond the borders of its subcontinent, even the planet and into strange dimensions. Now merely an exalted shadow of past glory, in which the wonders of forgotten millennia fade into the dust and rot of a self-imposed exile in vast metropolises. The North: Cold crown of the world, enclosed by endless mountain ranges, home to unyielding barbarian tribes and secrets shrouded in ice and snow. The last attempt at a subjugation of the North heralded the beginning of the end for the Empire. Today five great cities lie at the edge of the Misty Sea, which slowly turns into the battlefield of a bloody feud between ice pirates and the forces of the mysterious league. The Waismark: A former colony of the Empire that withstood the fall, abandoned to its fate millennia ago at the other end of the world. 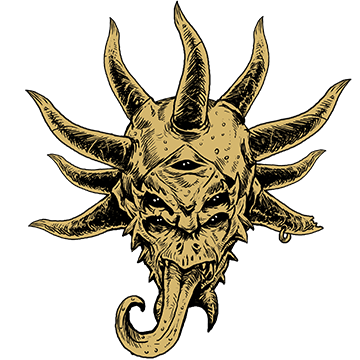 A new religion emerged here – and with it a violent but stable world of small principalities and free cities, living in ever-growing fear of the hidden forces and creatures in the surrounding darkness of the marshes, woods and mountains. The secluded jungle continent Gomgarka, with its monstrous reptiles and insects, endless deserts and flying islands. The hellish land Narakaná, a volcanic wasteland crowding with demonic creatures, arisen from a powerful magical ritual that wiped out an enitre subcontintent. The enigmatic archipelago of Dhelyria, whose tens of thousands of isles span half the globe and are reckoned a source of bizarre drugs and deadly dreams. 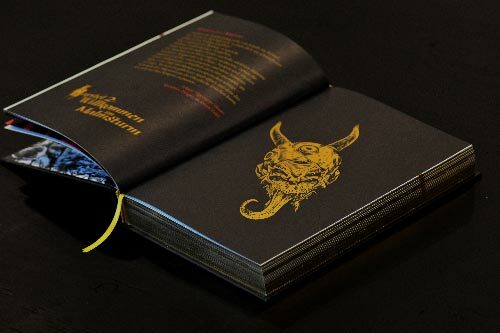 The world of Malmsturm is subject to the laws of a so-called dramatic reality: Here legends, myths and superstitions have a formative influence on reality itself – as do the desires, dreams and fears of the people. Be it those of a single person, endowed with a strong will and powerful emotions, or that of a large crowd of people, which shape their environment even with seemingly unimportant or unconscious sentiments. Thus it surprises no-one that black clouds gather above a field of battle, while a blue sky shines resplendent over a spring wedding. 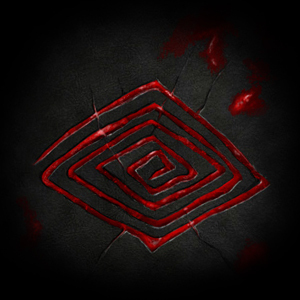 Likewise it is only prudent to expect thieves and murderers in ill-reputed parts of the city, whereas supernatural beings and deadly traps go without saying in forlorn ruins and tombs. It is precisely this formability of reality that gives rise to all magical traditions, whose practitioners learn to force their will and imagination upon the fabric of the world. But this does not leave reality unmarked, and sometimes reality shows signs of an all too strong manipulation – merely subtle ones in most cases, like the blue glow of a rune caster’s eyes or the explosion in an alchemist’s laboratory. But when exuberant emotions or unchained magic get utterly out of control, it may well happen that local reality collapses into pure chaos: A malmsturm becomes. This phenomenon can last an instant or eons, stretch out over a burial chamber or a whole kingdom – depending on the scale of the excessive strain on the fabric of reality. Such malmsturms may be rare – which some scholars ascribe to mysterious objects they call sphragiliths – but they are rooted deep into all cultures and peoples of this world. Only the mad don’t fear the malmsturm, as the malmsturm is the moment in which madness becomes truth. What is Malmsturm – The Foundations? Malmsturm already presented one of the first adaptions of the successful Fate roleplaying game with its first edition (»Malmsturm – Die Regeln« and »Malmsturm – Die Welt«). Above that, Malmsturm didn’t only bring a fantasy variant of Fate onto the market, but most of all an original setting in the realm of classic Sword & Sorcery, inspired by the themes and traditions of Heavy Metal. Now Malmsturm – The Foundations brings Malmsturm not only to the more current Fate Core system, packing a more extensive and in-depth introduction to the dramatic reality of the world of Malmsturm, and a detailed as well as intuitive and versatile magic system, but will also bring it to the international stage with a full english translation. It allows you to bring one of the many mystical traditions of the world of Malmsturm to life in the shape of a Fate Core character, it contains all necessary rules for the phenomenon of reality plunging into chaos, known as the malmsturm, as well as hundreds of new stunts for player character in Malmsturm. What Malmsturms future holds, you will see here.